Select the required viscosity of the fork oil below. Putoline HPX suspension fluid is formulated from special, highly refined, synthetic blended base oils. The addition of the most advanced additives produces a high-tech, top quality product for use Grand-Prix level. HPX suspension fluid prevents corrosion, oxidation, leaking seal rings and foaming. 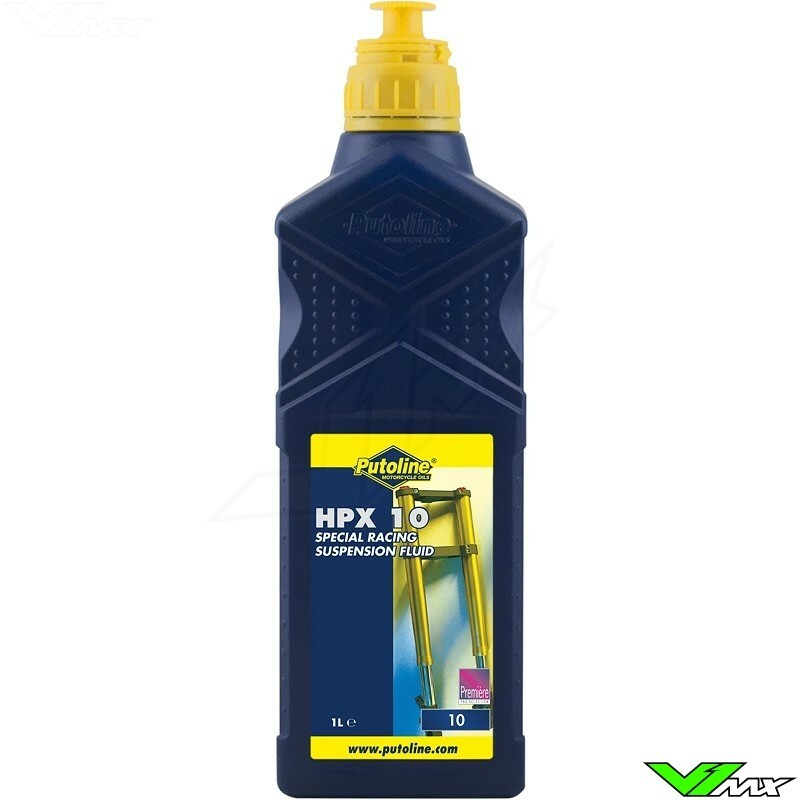 HPX suspension fluid particularly suitable for machines used in high performance street, Moto-X, Road Racing and Enduro applications, whether is cross country races, road racing, enduro racing, trails or off-the-road racing.